B cells contribute to the immune response by recognition of pathogens with their unique B-cell antigen receptor (BCR) and the production of soluble forms of this receptor: immunoglobulins (Ig), which neutralize the pathogen. Their role in the immune system is crucial, as B-cell deficiencies lead to serious infections. Furthermore, impaired B-cell function is a main causative factor in several autoimmune diseases. Precursor-B cells are generated throughout life from hematopoietic stem cells in bone marrow, where they each assemble a unique BCR. There is heavy selection for B cells with functional BCRs that show limited autoreactivity before they migrate to peripheral lymphoid organs. After leaving the bone marrow, B cells recirculate and only enter the second stage of differentiation into memory B cells and plasma cells once they recognize antigen with their unique receptor. 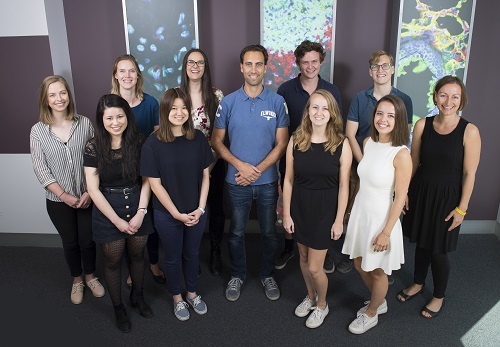 The research of our group aims to unravel the processes that underlie differentiation and selection decisions at important checkpoints in human B-cell differentiation. Whereas it is challenging to study human immunology, this approach will allow direct translation into patient care and diagnostics. To tackle the complexity of these basic and translational studies, we work closely together with multiple (inter)national collaborators. The pathophysiology of IgE- and IgG4-expressing B cells in allergies, and the impact of immunotherapy on these cells. Dissecting precursor-B cells in human bone marrow, and elucidating the roles of IL7R signaling and ID2 on Ig gene rearrangements (J Immunol 2005;175:5912-5922; Blood 2011;118:2116-2127; J Immunol 2013;191:1210-1219). Demonstrating how genomic DNA is organized in three-dimensional space and how locus contraction and nuclear localisation regulate ordered gene rearrangements (Cell 2008;133:265-79; Cell 2009;238:435-448; Nucleic Acids Res 2015;44(1):175-86). Elucidating the functions of CD19 and CD81, and how mutations in these genes underlie a novel antibody-deficiency syndrome in humans (N Engl J Med 2006;354:1901-1912, Genes Immun. 2007;8:663-670, J Clin Invest 2010;120:1265-1274, Genes Immun 2010;11:523-530, Hum Mol Genet. 2011;20:1854-63 and J Allergy Clin Immunol. 2014;28(7):1560-4). Dissecting human memory B cell subsets expressing IgM, IgG, IgA or IgE using novel molecular assays (J Exp Med 2007; 204:645-655; Blood 2011;118:2150-8; J Allergy Clin Immunol. 2014; 34(3):688-697.e6; J Immunol 2015;195(4):1417-26). 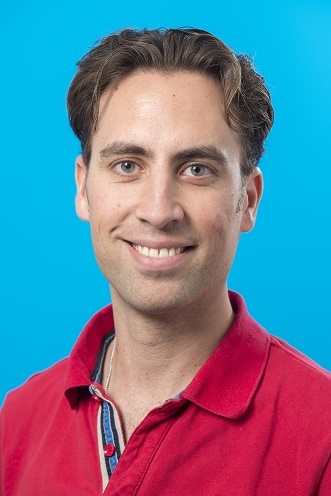 A/Prof van Zelm is the director of the JMF Centre for Primary Immunodeficiencies, opened in June, 2018. The group offers training possibilities for Honours and PhD students. Together with the student a specific research topic will be determined within one of the research lines of the group. Depending on the exact research project, applied techniques include several of the following techniques: flow cytometric immunophenotyping, cell sorting, AMNIS ImageStream, (RT-)PCR amplification, Sanger sequencing, recombinant DNA technology, DNA micro-array analysis, 3D Fluorescence in situ hybridization (FISH) and CRISPR-Cas9 mediated mutagenesis. During the training period students learn multiple principles and theories in the fields of immunology, genetics and cell biology, and learn to design, (safely) perform, interpret and document experiments in the field of Molecular Immunology.